Welcome to Meet the Teacher – CodeMonkey’s blog segment where teachers from all over the world share their experiences on what it’s like being an educator. 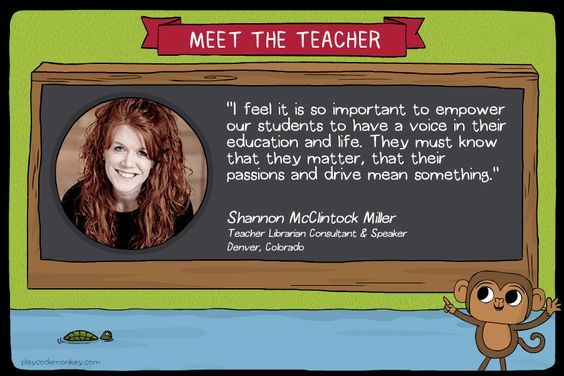 Today’s post features Shannon McClintock Miller who is a Teacher Librarian Consultant & Speaker in Denver, Colorado. “I started college wanting to be either a graphic or interior designer, but then changed to art and elementary education. After raising my children for thirteen years, I took a job as the teacher librarian at Van Meter, it was a perfect fit for me because it gave me a chance to do my favorite things- work with young people and teachers; be creative; share my love for literacy and books; and use technology to collaborate, connect and create. The thing I love most about teaching are the relationships you develop with students and their families. I feel it is so important to empower our students to have a voice in their education and life. They must know that they matter, that their passions and drive mean something to them and to the world. 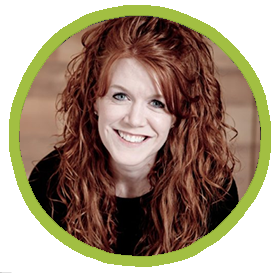 To be a connected educator means to be connected within your school community and outside of it, as well through social networks, organizations, conferences and events to share your passion for education and making a difference in the world”.